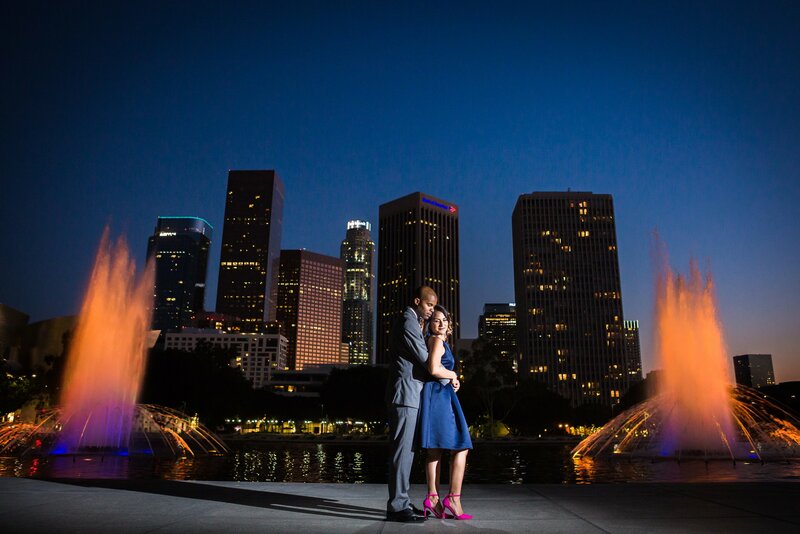 So he finally popped the question and now it’s time for you to have those amazing engagement photos taken! But maybe you’re not so sure how to prepare for an engagement session (Not sure if you even need an engagement session? click here). Don’t worry, it’s your lucky day! 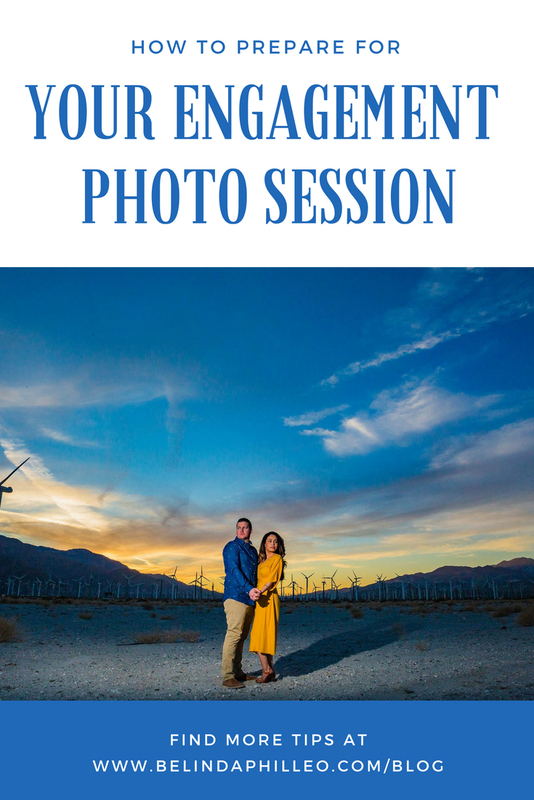 I’ve got a few tips that can help you learn how to prepare for an engagement session! 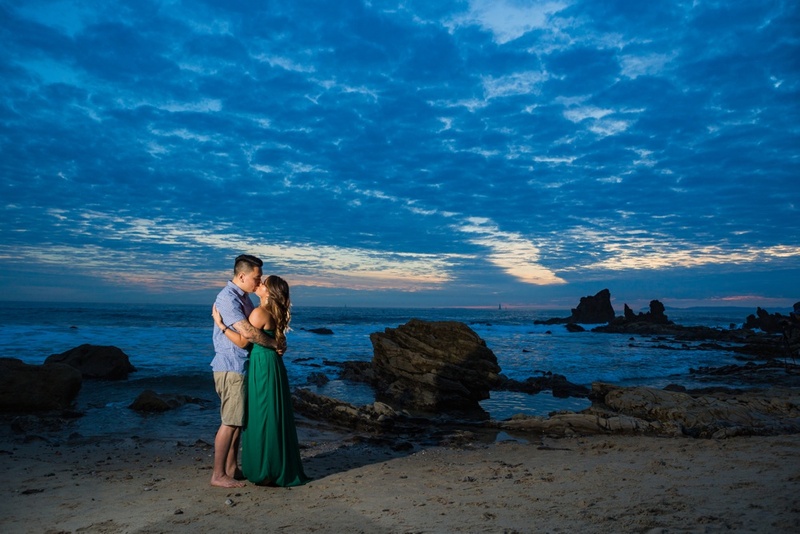 If you’ve hired a professional photographer, they’ll know how to prepare for an engagement session and will share their expert advice with you. Use this opportunity to ask your photographer any questions or share any concerns you have. More than likely they’ve encountered those concerns before and will know how to handle them appropriately. Make sure to share your wants clearly with your photographer so that they can understand your vision. While it’s not recommended that you send over a HUGE Pinterest board, it wouldn’t hurt to show your photographer 10-15 photos that show off the vibe you want. The more images you can show them from their OWN portfolio the better; after all, you hired them for their style! Next, think about what you want to use your engagement pictures for. Is it an album? Save-the-date cards and announcements? Something beautiful to hang on your wall at home? By considering your end game you’ll have a better idea of what you want those photos to look like and what kind of emotion you want them to evoke. Be sure to communicate your plans with your photographer, they’ll be able to help guide you in the right direction when it comes to printing and displaying your photos. The easiest way to do this is to think about who you and your fiancé are as a couple. If you’re not the kind of couple who’d spend a day hanging out at the beach, then having your engagement photos taken there might not be the best option for you. 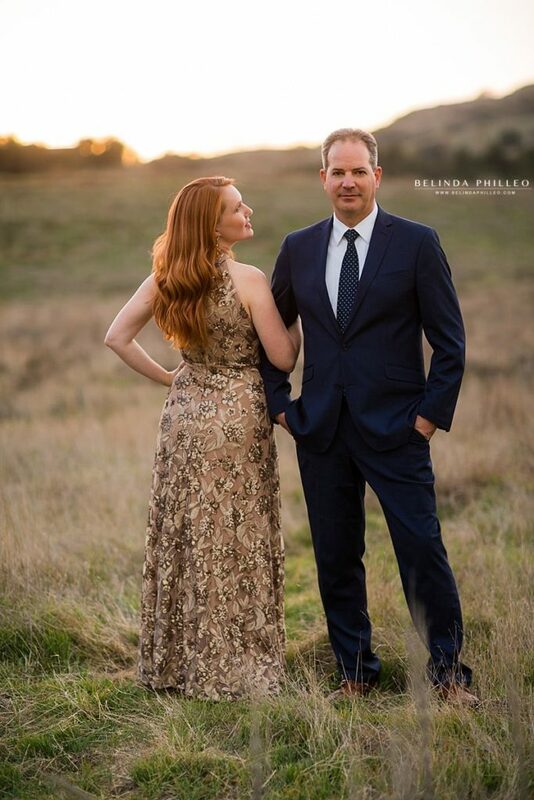 Make a list of the things you like to do together and talk to your photographer about ways to incorporate that into your session. Once you’ve chosen a location, be sure to find out if there are any rules or restrictions on having professional photos taken there. Some popular locations require permits and fees to be paid months in advance. Discuss with your photographer their policy on who’s responsible for obtaining those permits and covering the cost of fees. 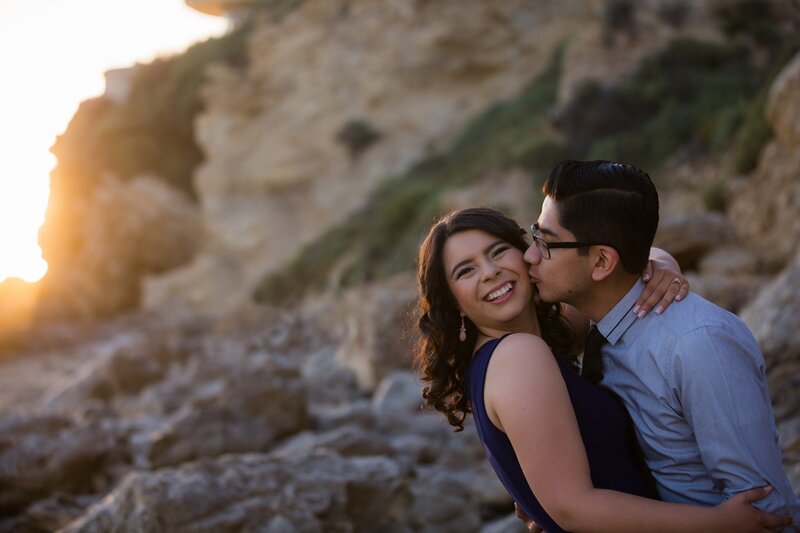 Some cool SoCal engagement session locations to consider include: Walt Disney Concert Hall in DTLA, Any of the gorgeous SoCal Beaches, Thomas F. Riley Wilderness Park, or one of the cute urban areas in Orange County like Downtown Fullerton and Downtown Santa Ana! Now that you have a location chosen, think about what kind of clothes you’re going to wear. No matter what you choose to wear, make sure that it’s classy. Remember, these photos will be shared with friends and family, used for announcements or made into an album! Depending upon your photographer and time limit for the session you may be able to bring two outfits. Most of my couples opt for one that’s relaxed and casual and a second outfit that’s more dressy and formal. When planning your outfits, remember to color coordinate but you don’t need to dress like twins! I love when my clients dress up for at least one half of their session. It gives the photos such a polished and glamorous feel! Sometimes, buying a new dress for your engagement session isn’t within the budget, but the good news is that you can rent beautiful dresses online. There’s also great rental services for guys that make it super easy to get a classy and stylish look for your engagement photos. Before your session, take time to make the appropriate appointments for beauty. Plan haircuts a week or more in advance so you aren’t stuck with a new do that you don’t like in your photos. Make sure both your nails and his are clean and trim so that those close up ring shots look dreamy and not messy. If you plan on getting a spray tan, please allow at least a week in advance of your session just in case! Some brides-to-be have used their engagement session as an opportunity to do a trial run with a hair and makeup professional. In addition to pampering yourself, don’t forget to clean your engagement ring so it’s sparkling and ready for a closeup! Be On Time and Have a Great Time! On the day of the session remember that beautiful photos take time to create. Take into account the recommendations of your photographer regarding the timeframe they need to create your images. Get to your session on time or even a few minutes early to ensure that you get the most out of your allotted time and the available daylight. For my clients, I usually allot 2 to 2.5 hours for our shoot so that we have plenty of time to explore the area and take some great shots without feeling rushed. This also gives us time to stop for a quick wardrobe change! Last of all, just remember to relax and have fun! Your photographer will take care of the rest! Engaged? 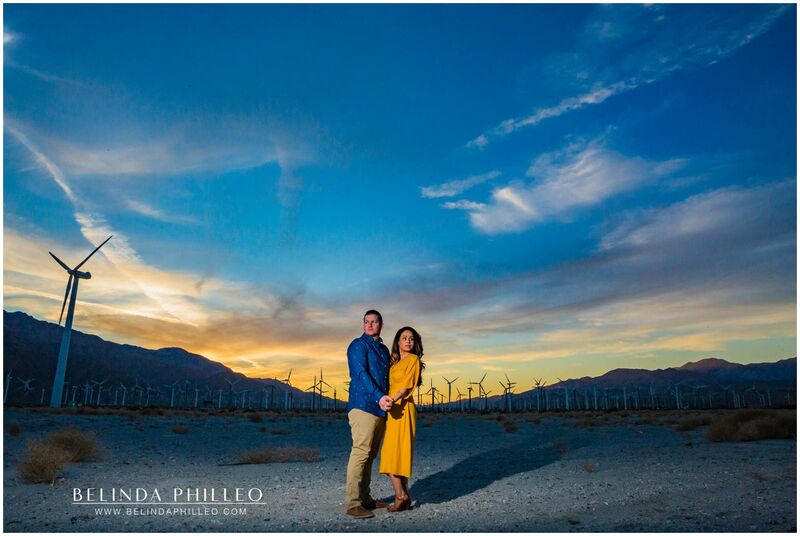 Want to reserve us for your engagement session or wedding? Contact us today to get started!